Saint Teresa’s Circle is a group for mothers which offers many opportunities to socialize with other moms in the parish and participate in parish and community outreach functions. We have many fun events planned for this year including a recipe exchange, hair and makeup makeovers, a question and answer with a local (and loved!) pediatrician, and principles of positive discipline, among many other events and social gatherings! We meet on the second Wednesday of each month, alternating between morning and evening meetings. We host numerous social events, as well as speakers pertaining to motherhood, marriage, and spiritual life. We support parish functions such as the Easter Egg Hunt and Brunch, Baskets of Blessings, and Vacation Bible School, as well as the annual auction benefiting the Interfaith Outreach Home. Our ministry provides many opportunities to meet other moms and become involved! Next Meeting: Wed, March 27, 7:30 pm Ministry Hall. 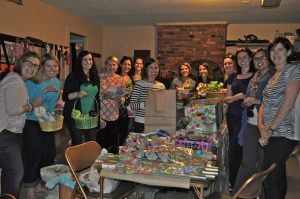 Each year, they sponsor the parish Easter Egg Hunt and a service project, Baskets of Blessings, that provides Easter Baskets to underprivileged children. 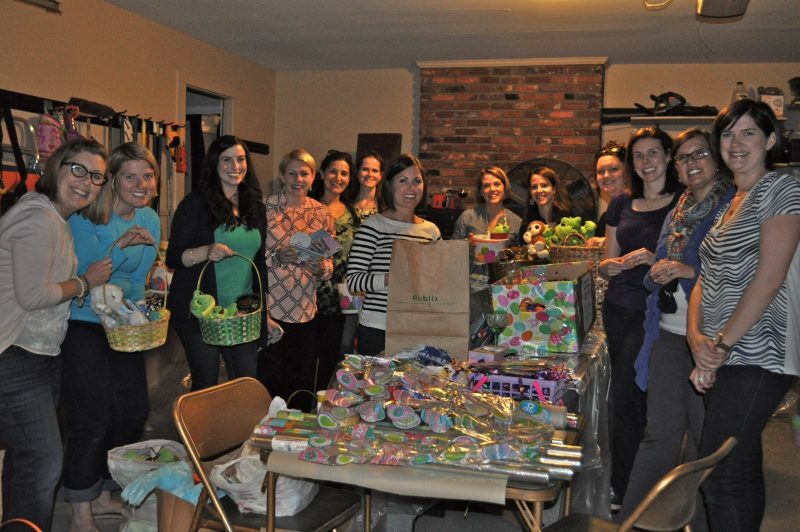 At this month’s meeting, we will be stuffing Easter eggs for the parish Easter Egg Hunt on Saturday, April 13 and preparing the Easter baskets for Baskets of Blessings. Details about items to donate will be provided by email. Please RSVP by sending an email to us.